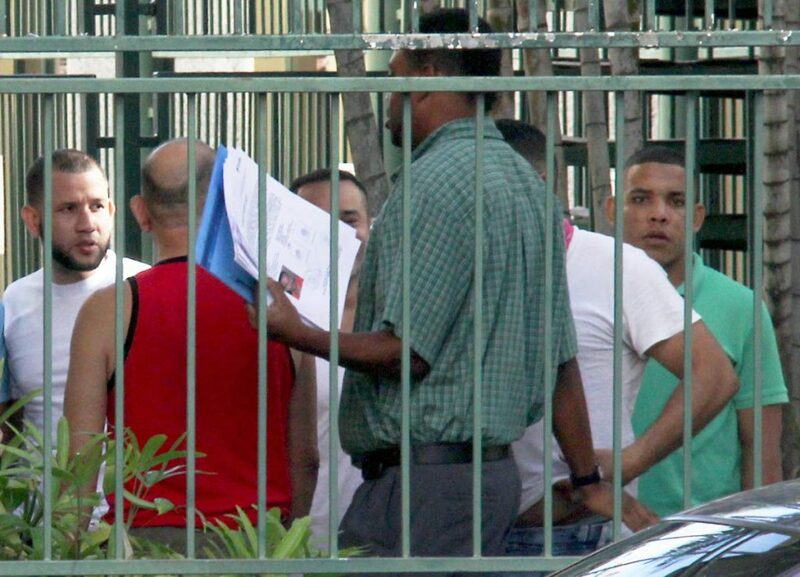 I have been overhearing countless conversations about the presence of Venezuelans in Trinidad. What I struggle to remember are the times I’ve heard people speaking with the kind of empathy I would expect when discussing human beings who leave all they‘ve ever known just to stay alive. I decided to travel to enrich my life experience. As any millennial would tell you, we want to lie on our deathbeds with more memories than regrets. I compare my motivation to that of Venezuelans who have come to Trinidad. The difference is: they are here because they are running from a world which collapsed around them. Many risked their lives to be here, and are struggling in this alternative reality. In response to the constant “Vene chatter,” I decided to do some research. 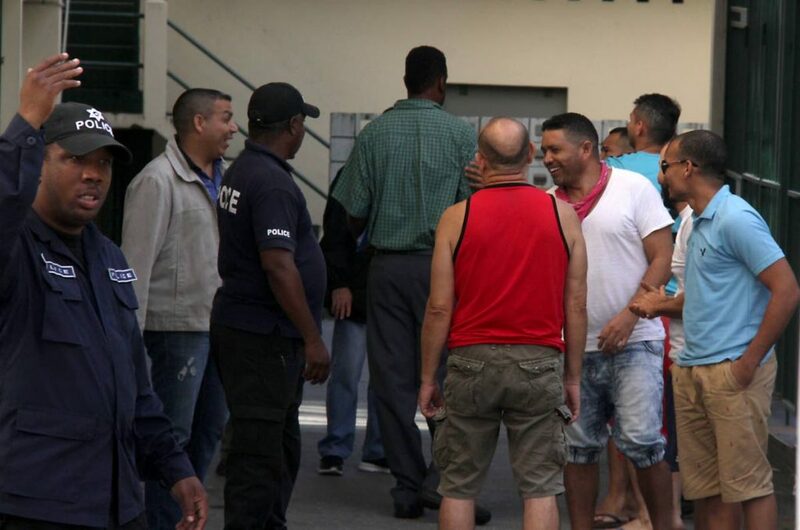 Venezuelan nationals seeking asylum in T&T visit their country's embassy, assisted by police officers and immigration detention officials, Venezuelan Embassy, Victoria Avenue, Newtown POS. Friday, April 20, 2018. PHOTO BY ROGER JACOB. The information I came across showed in 2017 the price of almost everything in Venezuela saw 2,000 per cent inflation. By May 2018, according to Forbes, it was over 25,000 per cent. I‘ve never heard of such inflation so close to home in all my life. What could have bought a house in Venezuela two years ago can now buy only a snack. People who cannot afford medical treatment are dying. Many are elderly, with diseases such as diabetes, and are watching their bodies rot. Walking through parts of the country, it is not unusual to see people going through garbage for food, and these are not “freegans” by any means. A journalist in an international documentary I came across highlighted that children are dying of malnutrition; at least one mother was left no option but to sell her body for money to buy food for her children. I hear Trinbagonians complain about everything that is wrong with TT, while Venezuelans in the documentary were plotting to escape here, saying “Trinidad has everything.” Many among us clearly have an unfortunate attitude toward people who are running to survive and to preserve the lives of their loved ones in Venezuela. It reminded me of a period when Haitians were seeking refuge in Jamaica, and many Jamaicans had the same attitude – as if Jamaicans have not been seeking better opportunities elsewhere since the beginning of time. What would we do if our tiny islands got hit by tsunamis? Frankly, based on how we cope with two days’ rain, a week of rain would see many of us running for the hills or elsewhere. I was fortunate to have interacted with a Haitian who became friends with some of my cousins in western Jamaica. 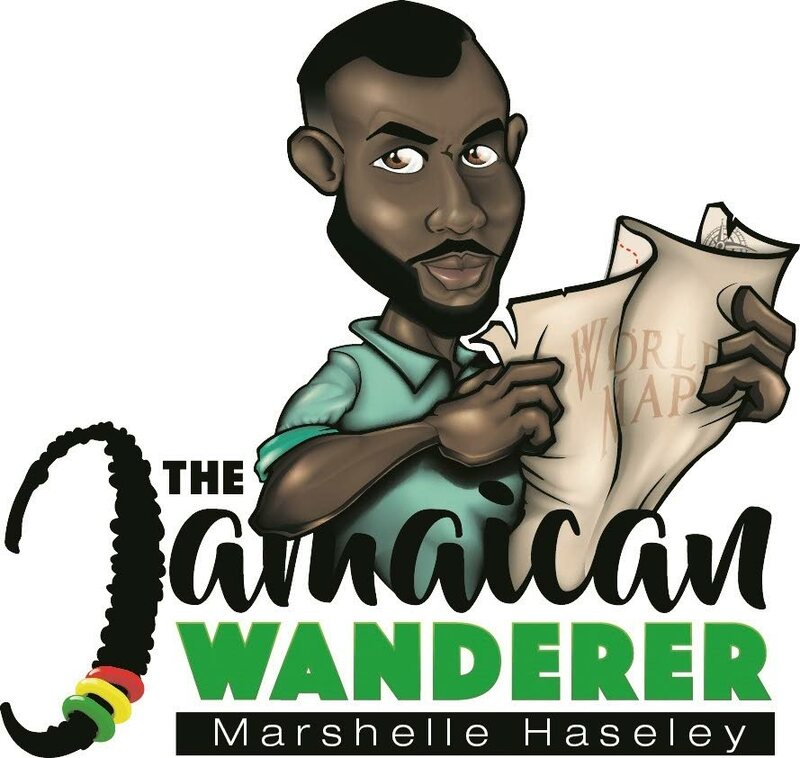 He was only a child, no more than 12 when he went to Jamaica – just him and his mother. A child who only spoke French creole slowly learnt Jamaican patois. A child who left everything he ever knew, just so he could continue to live, and maybe dream. How many of us can imagine moving to a country that speaks a language we don’t know? Imagine going to a place where you had no choice but to accept jobs far different from the jobs for which you are actually qualified. Imagine being taken advantage of, hearing that you should be happy and take what you get. Teachers working as bag packers in supermarkets, writers working in factories. Housewives becoming prostitutes. I‘ve met a few Venezuelans since I’ve been here, and they are warm and full of life. Seeing them grasp the English language and build a life in Trinidad, while retaining everything that makes them who they are, exemplifies strength. One particular hermano, I imagine, left 90 per cent of his family in Venezuela. He now lives in a country where he has to use Google Translate to communicate with everyone who doesn’t know at least a bit of Spanish – filling in the rest with gestures. He’s in my age group, and has about the same level of education. How many of us in his place would have the mental strength to smile? I would probably be lying in the foetal position somewhere in Venezuela if the tables were turned. Or who knows? Maybe I would have found the strength to dig deep for that stubborn will to survive that human beings have. The most tragic part of this reality is how many among us voice sentiments similar to those of a particular leader so many people love to hate. I‘ve heard the objectification of women, stripping away their dignity, and placing human beings in boxes labelled “other” – when they’re just like us. Except they’re not just like us. They are not merely trying to live more fulfilling lives, scratching things off their bucket lists, or creating memories to tell the grandchildren. These human beings are just trying to stay alive. Reply to "The ‘Vene’ chatter"